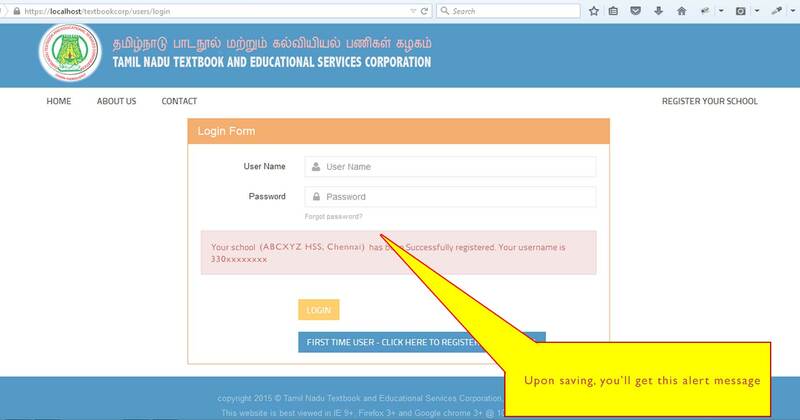 Please follow the below steps to register your School with TAMILNADU TEXTBOOK & EDUCATIONAL SERVICES CORPORATION. If you're already registered, Click here to know "How to order books from Tamil Nadu Textbook and Educational Services Corporation?". 2. 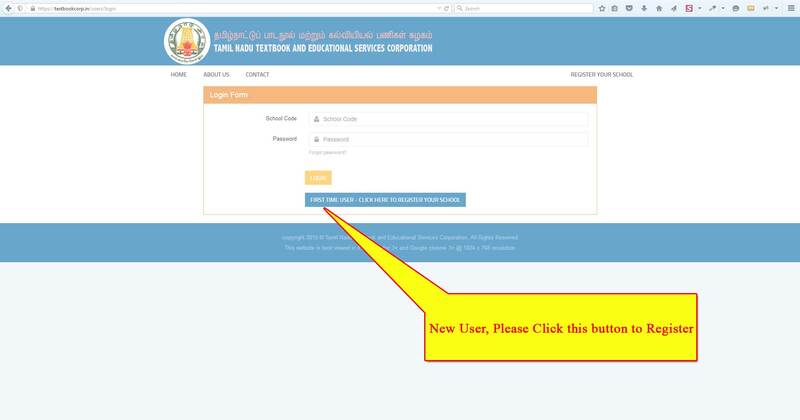 If you're a new user, Please click "First time user - click here to Register your school" button. Already registered member can directly Login into their account. 3. 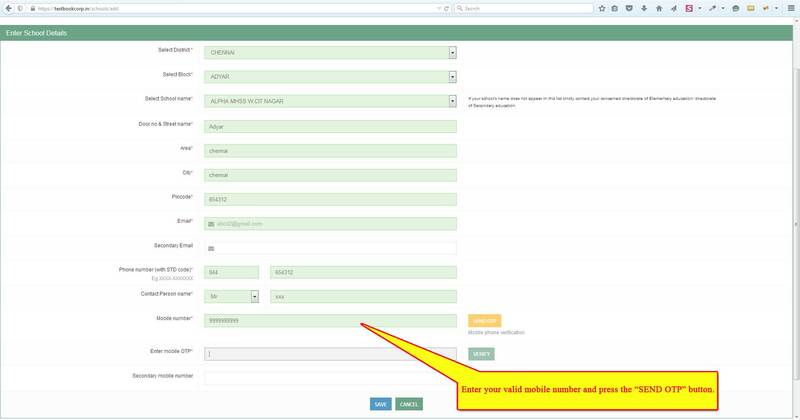 While fillingup the registration form, kindly enter the valid mobile number of yours and click the "SEND OTP" button. You'll receive an One-Time-Password (OTP) to that mobile number. 4. If you do not receive the OTP for about 10-30 seconds, you can resend the OTP. Kindly enter the OTP received and click the "VERIFY" button. 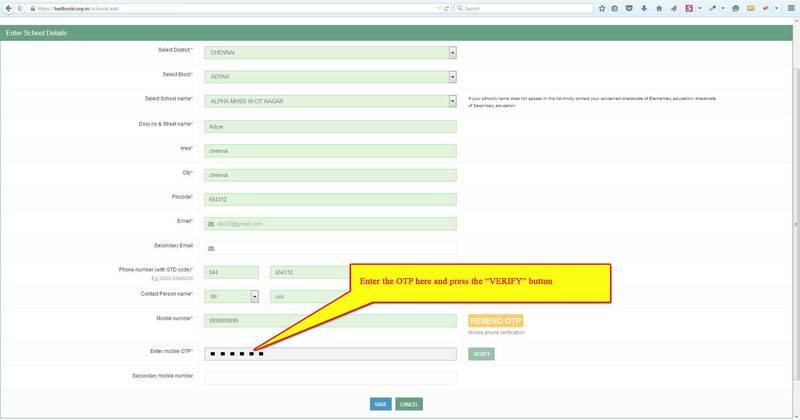 Upon verifying the OTP, click the SAVE button to complete the registration. 5. You'll receive the Login credentials to the registered mobile number. 6. Once you received the Login credentials, Goto-> https://textbookcorp.in/users/login and login into your account. 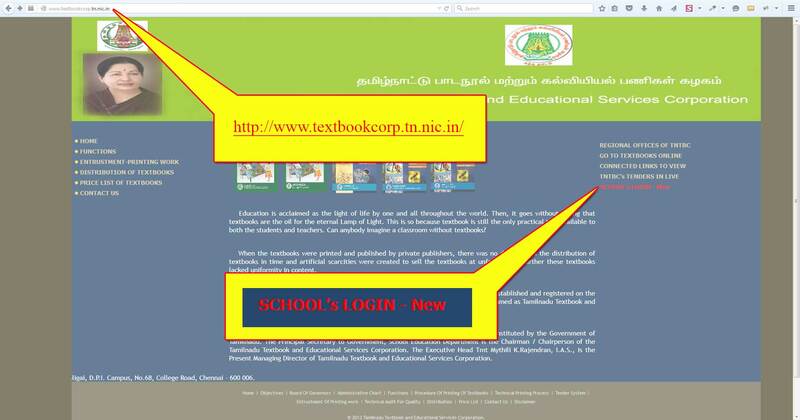 Click here to know "How to order books from Tamil Nadu Textbook and Educational Services Corporation?"